Pharmaceuticals are not the answer to cure or treat diabetes. Avandia is the latest drug to be questioned for its efficacy and side effects that increase the risk of heart attack by a whopping 43%. The Commission on Human Medicines in Great Britain has recommended pulling the drug because its risks outweigh the benefits. The FDA has decided to keep it on the market as it continues to destroy the lives of millions of unsuspecting users. Research demonstrates that the key to the escalating explosion in new diabetes cases is not with a drug but rather a natural diet packed with nutrients and antioxidants. It`s no surprise that research continues to validate that diet is more effective in halting the metabolic effects that lead to diabetes compared with dangerous and ineffective drugs. Drugs work to force sugar out of the blood and into cells regardless of whether it`s needed for energy. A natural diet of fresh vegetables and lean protein sources prevents the surge of glucose seen after a high processed carbohydrate meal by preventing the initial release of sugar. The results of a study performed in Italy and presented to The Endocrine Society confirmed the effectiveness of diet and diabetes prevention. Study participants were placed into four groups and given a 1,500-calorie diet. Half were placed on a diet that was concentrated in antioxidants (fruits, vegetables, legumes and nuts) and the other group ate a standard low calorie diet along with the diabetes drug Metformin. While all participants lost weight due to the reduced calorie diet, only the group eating the antioxidant diet showed a significant decrease in insulin resistance and blood glucose control. No measurable effect was seen in the group taking the drug. The principal author concluded “The beneficial effects of antioxidants are known, but we have revealed for the first time one of their biological bases of action – improving hormonal action in obese subjects with the metabolic syndrome“. 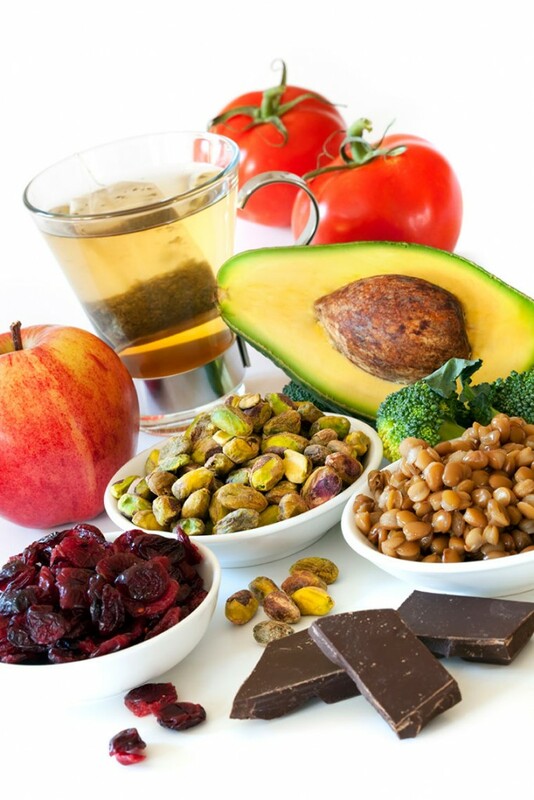 A diet high in antioxidants is known to help prevent and treat diseases ranging from heart disease to cancer and dementia. Antioxidants from natural foods neutralize the effects of free radicals that damage the small energy generating mitochondria found in all cells. This leads to cellular dysfunction and ultimately to cell death when the damage becomes too much to sustain normal function. Free radicals are the primary vehicle driving the aging process and initiation of most disease processes. Include a variety of colorful berries, grapes, tomatoes, carrots, spinach, broccoli, nuts and seeds to naturally combat the damage caused by normal metabolic activity. The standard medical protocol to prevent and treat diabetes is to prescribe from a long list of FDA approved medications and incorporate a low fat diet void of antioxidants. Drugs typically prescribed to diabetics are ineffective and many have been shown to be dangerous. Unprocessed foods are packed with natural antioxidants that can lower the risk of developing diabetes and heart disease and provide a much better choice than the pharmaceutical alternatives promoted by the medical profession. John Phillip is a Health Researcher and Author who writes regularly on the cutting edge use of diet, lifestyle modifications and targeted supplementation to enhance and improve the quality and length of life. John is the author of 'Your Healthy Weight Loss Plan', a comprehensive EBook explaining how to use Diet, Exercise, Mind and Targeted Supplementation to achieve your weight loss goal. Visit My Optimal Health Resource to continue reading the latest health news updates, and to download your Free 48 page copy of 'Your Healthy Weight Loss Plan'. WARNING: Statin drugs could raise your risk of diabetes! Break the Bottled Water Habit? PLEASE change your website font color from the extremely difficult to read light gray to a bold black! Now I have to copy and paste your articles into a Word doc, change to bold black and make the font larger — then I can read it.